May 4, 2016 by Shannon 2 Comments This post may contain affiliate links, which means if you click on a link and purchase something, I may earn a small commission (at no additional cost to you.) See my disclosure policy HERE. Here are all your top deals starting this Wednesday, using all your printable coupons at Kroger! 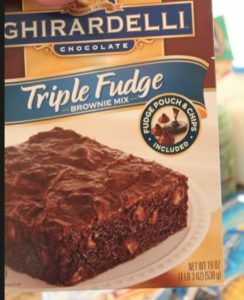 While you won't get every deal at Kroger using only these printable coupons, you should get quite a few and save yourself oodles of time. Note that the prices listed are before the coupon, and be sure to check out the full list of deals in the Kroger ad this week before you shop. Print all the coupons that match up with this week’s Kroger ad pre-clipped for you. Just click “unclip” if there are any there you'd prefer not to print. See the full list of current Kroger deals. April 13, 2016 by Shannon Leave a Comment This post may contain affiliate links, which means if you click on a link and purchase something, I may earn a small commission (at no additional cost to you.) See my disclosure policy HERE. March 9, 2016 by Shannon Leave a Comment This post may contain affiliate links, which means if you click on a link and purchase something, I may earn a small commission (at no additional cost to you.) See my disclosure policy HERE. February 24, 2016 by Shannon Leave a Comment This post may contain affiliate links, which means if you click on a link and purchase something, I may earn a small commission (at no additional cost to you.) See my disclosure policy HERE. February 17, 2016 by Shannon Leave a Comment This post may contain affiliate links, which means if you click on a link and purchase something, I may earn a small commission (at no additional cost to you.) See my disclosure policy HERE. February 3, 2016 by Shannon Leave a Comment This post may contain affiliate links, which means if you click on a link and purchase something, I may earn a small commission (at no additional cost to you.) See my disclosure policy HERE. January 27, 2016 by Shannon Leave a Comment This post may contain affiliate links, which means if you click on a link and purchase something, I may earn a small commission (at no additional cost to you.) See my disclosure policy HERE. January 6, 2016 by Shannon Leave a Comment This post may contain affiliate links, which means if you click on a link and purchase something, I may earn a small commission (at no additional cost to you.) See my disclosure policy HERE. December 16, 2015 by Shannon Leave a Comment This post may contain affiliate links, which means if you click on a link and purchase something, I may earn a small commission (at no additional cost to you.) See my disclosure policy HERE. December 9, 2015 by Shannon Leave a Comment This post may contain affiliate links, which means if you click on a link and purchase something, I may earn a small commission (at no additional cost to you.) See my disclosure policy HERE. See the full list of current Kroger d eals. November 18, 2015 by Shannon Leave a Comment This post may contain affiliate links, which means if you click on a link and purchase something, I may earn a small commission (at no additional cost to you.) See my disclosure policy HERE. November 11, 2015 by Shannon Leave a Comment This post may contain affiliate links, which means if you click on a link and purchase something, I may earn a small commission (at no additional cost to you.) See my disclosure policy HERE. October 21, 2015 by Shannon Leave a Comment This post may contain affiliate links, which means if you click on a link and purchase something, I may earn a small commission (at no additional cost to you.) See my disclosure policy HERE. October 14, 2015 by Shannon Leave a Comment This post may contain affiliate links, which means if you click on a link and purchase something, I may earn a small commission (at no additional cost to you.) See my disclosure policy HERE. October 7, 2015 by Shannon Leave a Comment This post may contain affiliate links, which means if you click on a link and purchase something, I may earn a small commission (at no additional cost to you.) See my disclosure policy HERE. September 30, 2015 by Shannon Leave a Comment This post may contain affiliate links, which means if you click on a link and purchase something, I may earn a small commission (at no additional cost to you.) See my disclosure policy HERE. September 23, 2015 by Shannon Leave a Comment This post may contain affiliate links, which means if you click on a link and purchase something, I may earn a small commission (at no additional cost to you.) See my disclosure policy HERE. September 16, 2015 by Shannon Leave a Comment This post may contain affiliate links, which means if you click on a link and purchase something, I may earn a small commission (at no additional cost to you.) See my disclosure policy HERE. Here are all your top deals starting this Wednesday, using all your printable coupons at Kroger! You won't get every deal using only these coupons, but you should get quite a few, and it will really save how much time you spend preparing for your grocery trip. Print all the Coupons.com coupon matchups for the Kroger sales ad ~ just click “unclip” if there are any there you’d rather not print. September 9, 2015 by Shannon Leave a Comment This post may contain affiliate links, which means if you click on a link and purchase something, I may earn a small commission (at no additional cost to you.) See my disclosure policy HERE. September 8, 2015 by Laurie Leave a Comment This post may contain affiliate links, which means if you click on a link and purchase something, I may earn a small commission (at no additional cost to you.) See my disclosure policy HERE. I knew I would love this list, but goodness now I love it even more! Yesterday I made a quick run into Kroger to pick up milk, but couldn't help but noticing all the great items in the Mega Sale. I checked my Kroger app, and sure enough many of the items had Kroger ecoupons available, so I ended up re-stocking my pantry after last month's Once a Month Grocery Shopping Experiment. But, what I was most excited about was being able to easily really compare the Mega Sale prices agains the regular prices at Aldi, Costco & Sam's Club using this price comparison sheet. Curious how those sales (even without coupons) stack up? Take a peek . . .
Organic Baby Spring Mix 16 oz $3.99 = 24¢ per ounce compared to 28¢ per ounce at Costco and Sam's Club. This has been there special price all summer and I thought it was a pretty good deal, but know I know it is! Folks, these are prices just using the sale ad with no coupons and they definitely beat the Aldi, Costco & Sam's Club prices. While I love those stores for some things, I still really feel like you can save even more each week by shopping your favorite grocery store's sale ad. August 26, 2015 by Shannon Leave a Comment This post may contain affiliate links, which means if you click on a link and purchase something, I may earn a small commission (at no additional cost to you.) See my disclosure policy HERE. August 19, 2015 by Shannon Leave a Comment This post may contain affiliate links, which means if you click on a link and purchase something, I may earn a small commission (at no additional cost to you.) See my disclosure policy HERE. August 12, 2015 by Shannon Leave a Comment This post may contain affiliate links, which means if you click on a link and purchase something, I may earn a small commission (at no additional cost to you.) See my disclosure policy HERE. August 5, 2015 by Shannon Leave a Comment This post may contain affiliate links, which means if you click on a link and purchase something, I may earn a small commission (at no additional cost to you.) See my disclosure policy HERE. July 29, 2015 by Shannon Leave a Comment This post may contain affiliate links, which means if you click on a link and purchase something, I may earn a small commission (at no additional cost to you.) See my disclosure policy HERE. July 15, 2015 by Shannon Leave a Comment This post may contain affiliate links, which means if you click on a link and purchase something, I may earn a small commission (at no additional cost to you.) See my disclosure policy HERE. July 8, 2015 by Shannon Leave a Comment This post may contain affiliate links, which means if you click on a link and purchase something, I may earn a small commission (at no additional cost to you.) See my disclosure policy HERE. July 1, 2015 by Shannon Leave a Comment This post may contain affiliate links, which means if you click on a link and purchase something, I may earn a small commission (at no additional cost to you.) See my disclosure policy HERE. June 24, 2015 by Shannon Leave a Comment This post may contain affiliate links, which means if you click on a link and purchase something, I may earn a small commission (at no additional cost to you.) See my disclosure policy HERE. June 17, 2015 by Shannon Leave a Comment This post may contain affiliate links, which means if you click on a link and purchase something, I may earn a small commission (at no additional cost to you.) See my disclosure policy HERE. June 10, 2015 by Shannon Leave a Comment This post may contain affiliate links, which means if you click on a link and purchase something, I may earn a small commission (at no additional cost to you.) See my disclosure policy HERE. Kroger Mega Sale Scenario: 15 Items Just $8.16! June 10, 2015 by Laurie Leave a Comment This post may contain affiliate links, which means if you click on a link and purchase something, I may earn a small commission (at no additional cost to you.) See my disclosure policy HERE. Pay $8.16 for all 15 items! June 3, 2015 by Shannon Leave a Comment This post may contain affiliate links, which means if you click on a link and purchase something, I may earn a small commission (at no additional cost to you.) See my disclosure policy HERE. May 27, 2015 by Shannon Leave a Comment This post may contain affiliate links, which means if you click on a link and purchase something, I may earn a small commission (at no additional cost to you.) See my disclosure policy HERE. May 20, 2015 by Shannon Leave a Comment This post may contain affiliate links, which means if you click on a link and purchase something, I may earn a small commission (at no additional cost to you.) See my disclosure policy HERE. May 13, 2015 by Shannon Leave a Comment This post may contain affiliate links, which means if you click on a link and purchase something, I may earn a small commission (at no additional cost to you.) See my disclosure policy HERE.